When certain AC voltage is applied to a coil, current, proportion to the applied voltage and inversely proportional to the impedance, flow through the coil. 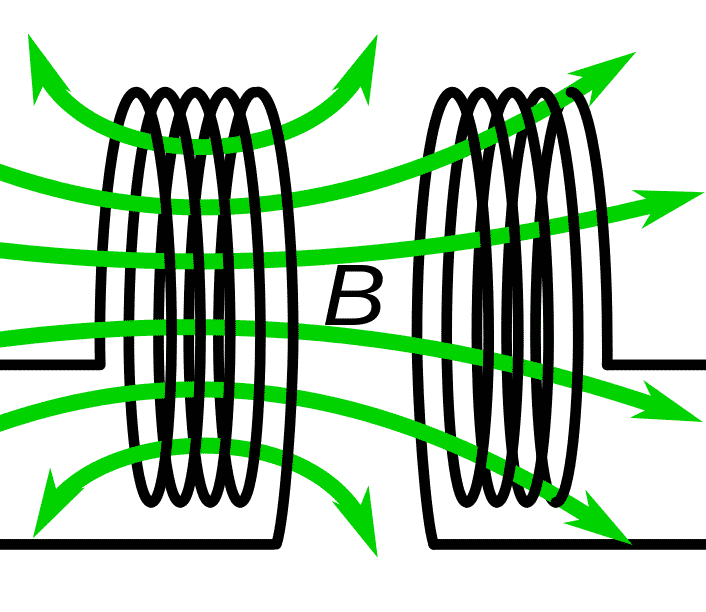 This generates varying magnetic field around the coil. 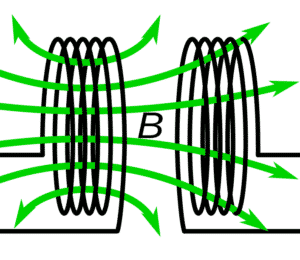 When this varying magnetic field links with another coil, EMF is induced in it. This principle is used in transformers to step up and step down voltage levels in a transformer. Ratio of supplied and output voltage levels is proportion to the ratio of number of turns in transformer winding. An important point that has to be noted is inspite of voltage step up/down of applied voltage, the input power and output power of a transformer remains equal(considering voltage is zero).